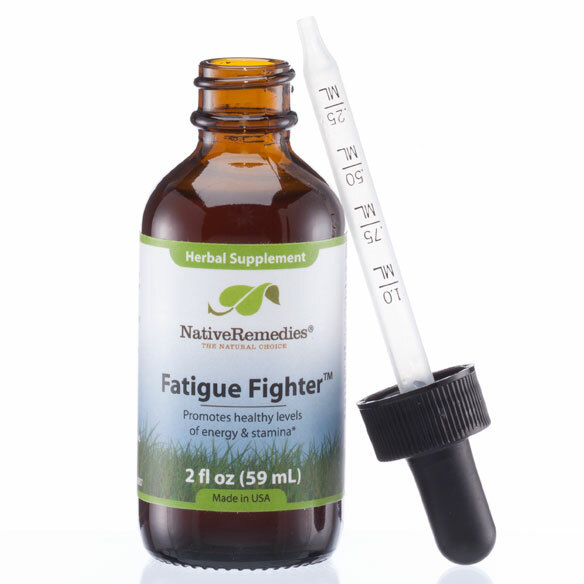 NativeRemedies® Fatigue Fighter™ - 2 oz. Fatigue Fighter is a 100% safe, non-addictive, natural herbal remedy that can be used consistently to safely support healthy energy levels, stamina and endurance. 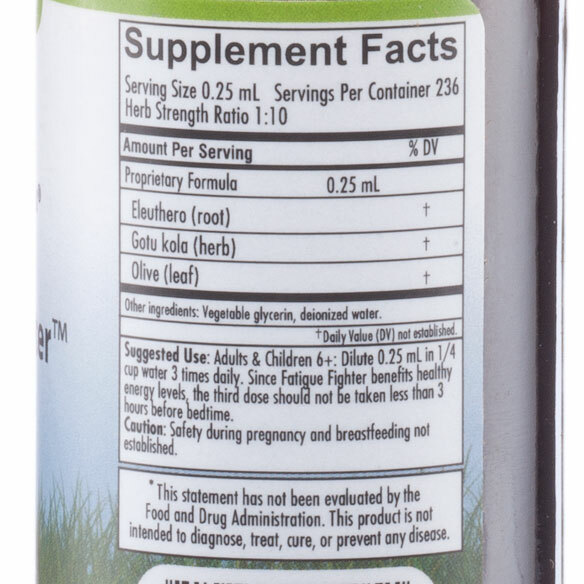 Fatigue Fighter is a 100% herbal formula and contains the following ingredients in therapeutic dosage: Eleuthero, Extract of Olive leaf, Gotu kola. Dilute drops in 1/4 cup of water, juice or milk. Adults & Children 6+: Take 0.25 mL three times daily. Since Fatigue Fighter supports healthy energy levels, the third dose should not be taken less than three hours before bedtime. 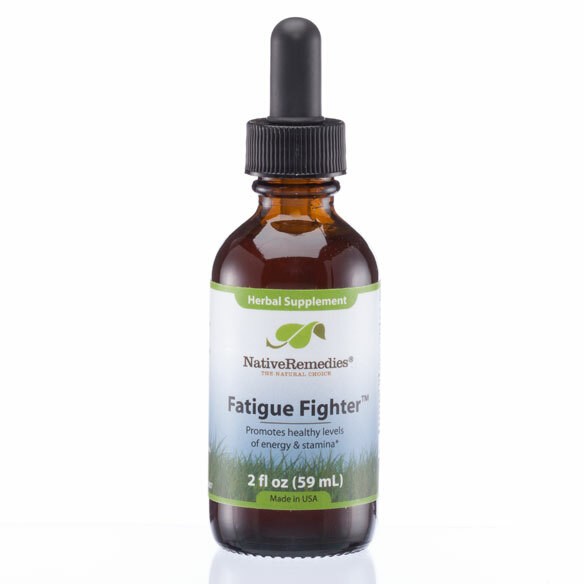 One bottle of Fatigue Fighter at full adult dosage (0.25 mL three times daily) will last approximately 80 days.